Ready to throw up? If you’re in a cubicle like me right now, reading this list only makes you feel sad and inferior. Forbes has officially released their list of the highest paid musicians of 2013. All of these statistics aren’t based solely on record sales and concert tickets, but musicians with the highest total income. Madonna can accredit her fragrances and clothing. Jay-Z can thank his, everything. He owns some rocket ships and the NBA right? And for anyone who hates on Diddy, allow me to just say, “Take that.” Ciroc Boyzzzz. 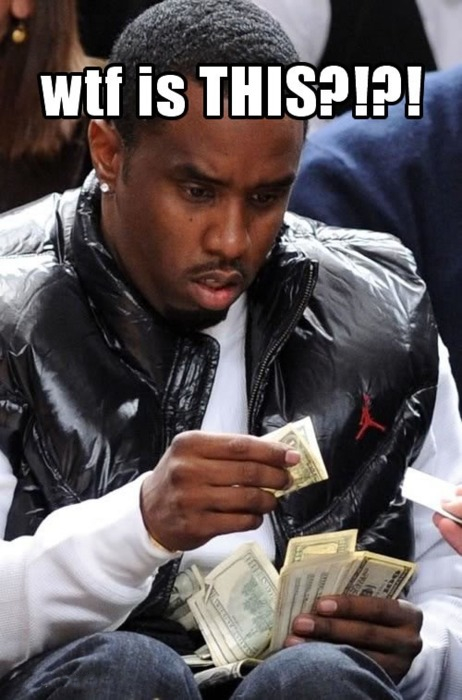 Keep on drinking that Diddy moisture, soon he’ll be at #1. Check out this post to see the entire list and who came in where! Derek Scancarelli is a feature writer, interviewer, videographer, photographer, radio-er and more. In 2015, he received his MA in Journalism in New York City. In addition to Under The Gun Review, Derek has worked with Noisey (VICE), Alternative Press, New Noise Magazine and many more. He also pushes some buttons at SiriusXM. Comedian Jim Norton once called him a serial killer on national radio. Enjoy the internet with him on Twitter.